Amazon.com has the Logitech Harmony 650 All-in-One Universal Remote with Color LCD for $34.99. Also, free shipping is included with this deal. Amazon has the Logitech Harmony 650 All-in-One Universal Remote w/ Color Display for $32.99. This item also currently includes free shipping. 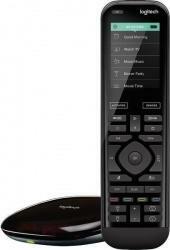 Best Buy via eBay has the Logitech Harmony 700 8-Device Universal Remote Control for $39.99. You will also get free shipping on this item. 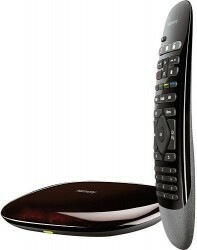 Always Deals via eBay has the highly rated Logitech Harmony Smart Control Remote Control w/ Hub for $57.99. Free shipping is also included with this deal. Amazon has the Logitech Harmony Companion All-in-One Smart Home Remote for $109.99. Free shipping is also included with this deal. Amazon.com has the Amazon Alexa Voice Remote for Amazon Echo Speakers for $19.99. Free shipping with Amazon Prime. Don't have Prime? Get a free 30-day trial, otherwise get free shipping on $25 or more. Amazon.com has the Logitech Harmony 650 All-in-One Universal Remote w/ Color Display for $32.99. You will also get free shipping on this item. 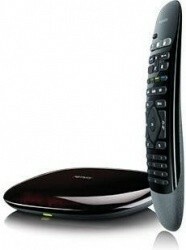 Amazon.com has the Logitech Harmony 650 All-in-One Universal Remote with Color LCD for $33.89. Also, free shipping is included with this deal. 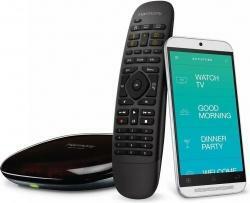 Always Deals via eBay has the Logitech Harmony Smart Control Remote Control w/ Hub for $66.65. Free shipping is also included with this deal. Save $170 today only! BestBuy.com has the Logitech Harmony Ultimate One 15-Device Universal Remote for $79.99. This item also currently includes free shipping. woot.com has the refurbished Logitech Harmony Ultimate One 15-Device Universal Remote for $69.99. Free shipping for Amazon Prime members, otherwise shipping is a flat $5.00. Posted on 4/12/18 in Remote Controls, Woot! BestBuy.com has the Logitech Harmony Smart Control Remote Control w/ Hub for $69.99. Free shipping is also included with this deal. Best Buy via eBay has the Logitech Harmony 700 8-Device Universal Remote Control for $49.99. This item also currently includes free shipping. Amazon.com has the Logitech Harmony Ultimate One 15-Device Universal Remote for $69.99. Also, free shipping is included with this deal. Best Buy via eBay has the Logitech Harmony Smart Control Remote Control w/ Hub for $64.99. Free shipping is also included with this deal. 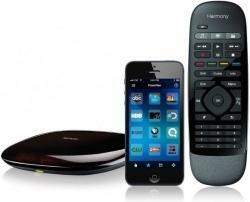 Jet.com has the Logitech Harmony Smart Control w/ App & Remote Control for $66.79. This item also currently includes free shipping. Best Buy via eBay has the Logitech Harmony Smart Control 8-Device Universal Remote for $29.99. Save on shipping with free in-store pickup where available. Walmart.com has the Logitech Harmony 650 8-Device Universal Remote Control for $34.97. Get free 2-day shipping on most orders of $35 or more, and free in-store pickup may also be available. Amazon.com has the Logitech Advanced Remote Harmony 950 IR Remote Control for $199.99. You will also get free shipping on this item. 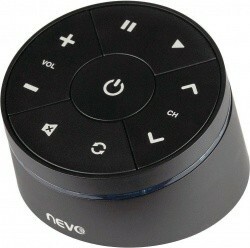 Amazon.com has the RCA NEVO Smart Device Remote for $9.65. Free shipping with Amazon Prime. Don't have Prime? Get a free 30-day trial, otherwise get free shipping on $25 or more. Best Buy via eBay has the Logitech Harmony Smart Control 8-Device Universal Remote for $29.99. Free shipping on orders over $35. Save on shipping by choosing free in-store pickup at a Best Buy store near you. Amazon.com has the Logitech Harmony Smart Control Remote with Smart Hub for $69.99. Also, free shipping is included with this deal. Big Deals via eBay has the refurbished Logitech Harmony Smart Keyboard with Smart Hub for $54.99. This item also currently includes free shipping. Geek Deal via eBay has the refurbished Logitech Harmony Home Control Remote with Smart Hub for $84.95. This item also currently includes free shipping. 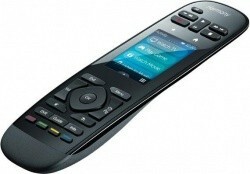 eBay has the refurbished Logitech Harmony Elite Universal Remote Control with Hub for $229.95. This item also currently includes free shipping. Best Buy via eBay has the Logitech Harmony 350 Universal Learning 8-Device Remote for $34.99. Free shipping is also included with this deal. Amazon.com has the Sideclick Universal Remote Attachment for Roku for $24.99. Free shipping with Amazon Prime. Don't have Prime? Get a free 30-day trial, otherwise get free shipping on $35 or more. 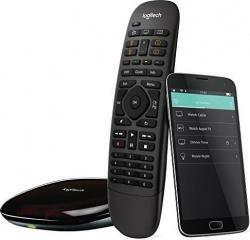 Tech Rabbit via eBay has the refurbished Logitech Harmony Touch 15-Device Universal Remote Control for $74.99. You will also get free shipping on this item. Best Buy via eBay has the Logitech Harmony Smart Control 8-Device Universal Remote for $29.99. Free store pickup is also included with this deal. 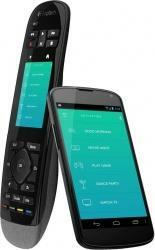 woot.com has the refurbished Logitech Harmony Ultimate One Remote w/ Touchscreen for $74.99. Order as many items as you'd like from any or all of woot's 10 sites and your shipping is just $5 for your total order. Posted on 2/18/17 in Remote Controls, Woot! Best Buy via eBay has the Logitech Harmony Smart Control 8-Device Universal Remote for $29.99. Free shipping is also included with this deal. Posted on 1/21/17 in Remote Controls, Woot! eBay has the Logitech Harmony 350 Universal Learning 8-Device Remote for $22.99. Free shipping is also included with this deal. 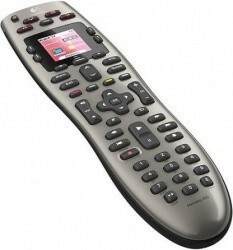 Best Buy via eBay has the Logitech Harmony 650 8-Device Universal Remote Control for $39.99. Also, free shipping is included with this deal. Black Friday deal available now - save $70! BestBuy.com has the GD-approved Logitech Harmony 700 8-Device Universale Remote for $49.99. Free shipping is also included with this deal. Save $60 vs buying individually! 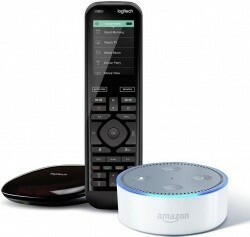 Amazon.com has the Logitech Harmony Elite Remote & Amazon Echo Dot Bundle for $287.58. You will also get free shipping on this item. Geek Deal via eBay has the refurbished Logitech Harmony Touch Universal Remote w/ Color Screen for $69.99. You will also get free shipping on this item. Groupon has the Logitech Harmony Ultimate One IR Remote Control for $139.99. Also, free shipping is included with this deal.